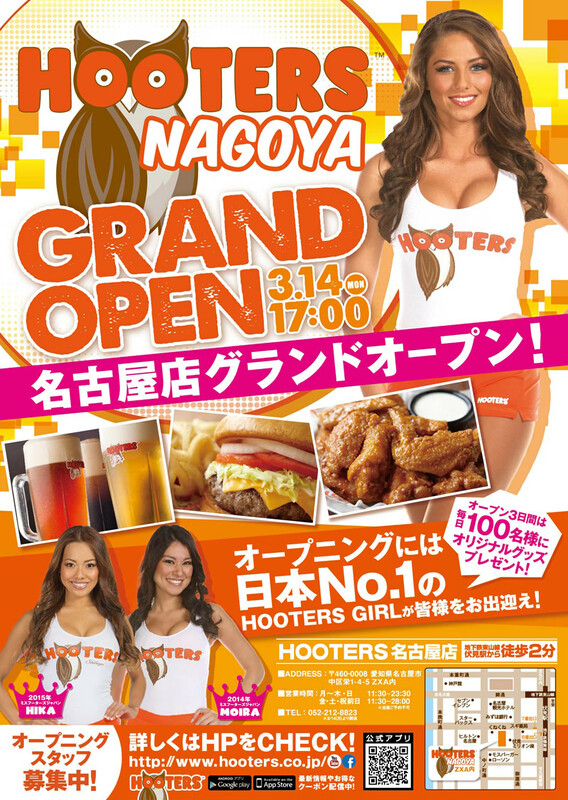 HOOTERS NAGOYA will open on Monday March 14th! HOOTERS NAGOYA will open on Monday March 14th 5PM. To celebrate the opening, Miss HOOTERS Japan 2015 HIKA and Miss HOOTERS Japan 2014 MOIRA will be here to greet customers. Also, We will give away the HOOTERS original items to the first 100 customers on March 14th to 16th. Don’t miss this opportunity!